Many companies are searching for and inventing new ways and tools for boosting customer engagement. My way is do everything simply. Simplicity is the key to greater performance and greater results. If you look at how your business is organized and functioning at the moment, you will observe there are so many things that can be done better with whatever resources you already have, without bringing in new tools and new people. You can do this simply by optimizing your current procedures. If you want to create a stronger bond with your clients and prospects, take a look at how you are delivering customer service right now. Every business, whether they are selling a product or a service, are doing customer service to support their sales. 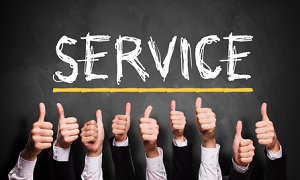 Customer service is a natural opportunity to engage your clients. Why not use this opportunity and see if you can stretch it to create even greater engagement than you already have? Below I would like to share with you a few ideas on how you can optimize your customer service to boost customer engagement. According to CEB Tower Group research 84% of customers when approaching customer service are focused on successful resolution of their problem. Their expectation of satisfactory resolution to a great degree depends on how quickly and easily they can access customer support. How can you achieve quick and easy support? The key is to focus. Don’t spread your technical and human resources trying to provide quality service over too many customer service channels. Choose a few and make them into easy support tools for customers. CX Act Omni-Channel Customer Care Study shows that customers expect contacts to be easiest to handle via online live chat, email or mobile self-service. Whichever channels you choose to focus on, make sure to let your customers know that this is where they can get the best support and encourage them to contact you via those channels. If your clients know it’s super easy to get support from your company, they will no doubt expand their business with you and spread the good word, which will lead to more clients and greater engagement. To create trust with customers and inspire them to have business with your company it is necessary to maintain the right balance between collecting customers’ personal information and keeping their interactions with you simple and non-obtrusive. Customers do want personalized solutions. As CX’s research revealed, they consider the availability of their personal details and transaction history the most important drivers of a good experience. At the same time, they are not willing to fill out long forms to get an answer to a simple question. The key to finding the balance between giving quality service and not over-complicating it, is to extract the maximum benefit from the information that you can get from customers easily. Make sure that your customer service agents have access to customers’ personal details and transaction history at all times. See that they are trained to use it to understand the customers’ needs and offer personalized solutions. It is also important that your customer support tools are equipped with good monitoring capabilities and provide the agent with enough data to engage with a customer in the right way. Sometimes the best initiatives on how to optimize customer service procedures and how to engage more customers are not transmitted properly to those who execute them. This misalignment between different levels of the team leads to many lost opportunities. It is essential not only to pass down the line the innovations and instructions, but also to explain the strategy behind all this. Customer service agents need to understand what to do, how to do it right and why it is necessary to do it. Without understanding, it is very difficult to expect effective performance from them. Without proper execution, all efforts in optimizing customer service and increasing engagement with your clients will be wasted. If you give time and attention to the above 3 factors, your chances for engaging more clients just through customer service will raise considerably. As I said in the beginning, it is a natural opportunity for growth, using the engagement channel that is already available to you and making the best out of it. Of course, there are so many smaller things that you can also work upon to boost customer engagement by means of customer service. What are your ways of doing this? Have you been employing any tools and ideas to work your way through to greater engagement? Please feel free to share your experiences in the comments.